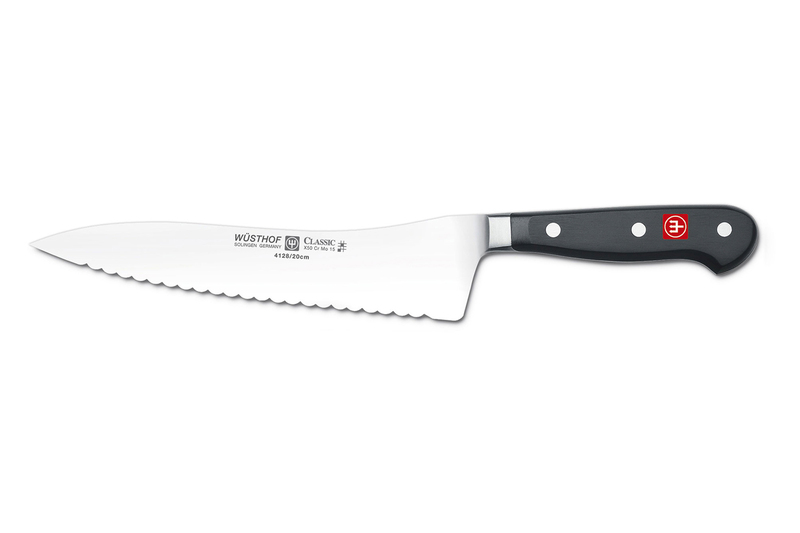 The Wusthof Classic offset deli knife is perfect for slicing through delicious panini sandwiches. The sharp serrated edge can slice tough breads and cheeses as well as gently slice the meats and vegetables. It has a strong, long-lasting edge because it is precision-forged from a single piece of stainless steel and it also features a laser cut edge. The triple-riveted handle design ensures durability and is comfortable to use as well. Constructed in Soligen, Germany, this deli knife features a lifetime guarantee from Wusthof.